Freda Hansburg is a psychologist and author of the thriller, Shrink Rapt. She is also co-author of two self-help books, PeopleSmart - which has sold over 75,000 copies and been translated into ten languages - and Working PeopleSmart, as well as numerous professional publications. 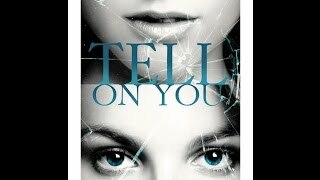 Her new thriller, Tell On You, will be published by Micro Publishing Media May 1, 2017. Freda lives in the South Carolina Lowcountry, where she is working on her next novel and her Pickleball game. To ask Freda Hansburg questions, please sign up. Freda Hansburg hasn't written any blog posts yet. Freda Hansburg voted for Into the Water as Best Mystery & Thriller in the Final Round of the 2017 Goodreads Choice Awards. We’d love your help. Let us know what’s wrong with this preview of Crime Scene by Jonathan Kellerman. Another novel I read for my book club. A group of sweet, wacky neighbors, led by a gay, agoraphobic has-been dancer, step up to care for an adorable, precocious nine year-old girl, neglected by her addict mother. The neighbors, in turn, are transform Another novel I read for my book club. A group of sweet, wacky neighbors, led by a gay, agoraphobic has-been dancer, step up to care for an adorable, precocious nine year-old girl, neglected by her addict mother. The neighbors, in turn, are transformed by the child. There’s even a loveable cat. Does this have “sitcom” written all over it, or what? Sort of How I Met Your Daughter. We’d love your help. Let us know what’s wrong with this preview of Don't Let Me Go by Catherine Ryan Hyde. Okay, raise your hands if you think this book would be published today if it weren’t by the author of To Kill A Mockingbird. The best thing about this very earnest novel are tantalizing glimpses of the masterpiece Lee would go Okay, raise your hands if you think this book would be published today if it weren’t by the author of To Kill A Mockingbird. The best thing about this very earnest novel are tantalizing glimpses of the masterpiece Lee would go on to write, at the behest of her editor. The most engaging parts of Watchman are its flashbacks and memories of Scout’s childhood. The worst thing about the book is the strong probability that Lee didn’t and wouldn’t want it published at all (evidence being that she’d scarcely have waited until she was old and infirm to finally do so). Believe me, someone could comb my hard drive and find way worse stuff to publish when I’m past the point of objecting. But Watchman really doesn’t measure up to what Lee has given us. In case you slept through all the press this summer, the novel centers on Scout Finch’s return to Maycomb, AL as a young woman living in New York. Set during the civil rights era, Watchman, which feels more like a novella than a novel, both in length and scope, depicts her outrage and disillusionment with the prejudice she encounters there, especially from her father, Atticus, whom she (and we) idolized. I found the story readable, but frankly rather bleak and sophomoric. However, Atticus wasn’t ruined for me. Flawed, human…yet I still liked him. We’d love your help. Let us know what’s wrong with this preview of Go Set a Watchman by Harper Lee.